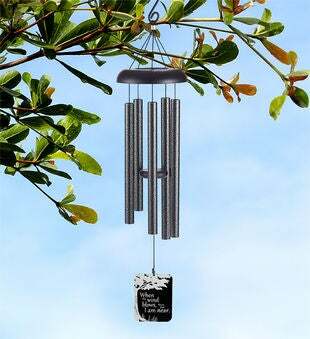 These memorial chimes deliver a consoling message of comfort to ease the pain of loss. 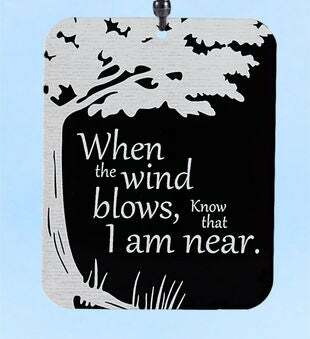 Engraved on the wind sail is a large tree with the words "When the Wind Blows, Know that I Am Near." 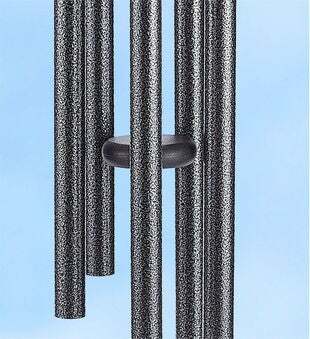 Personalize the back of the wind sail with the name, date of birth and date of departure for loving garden memorial gift.